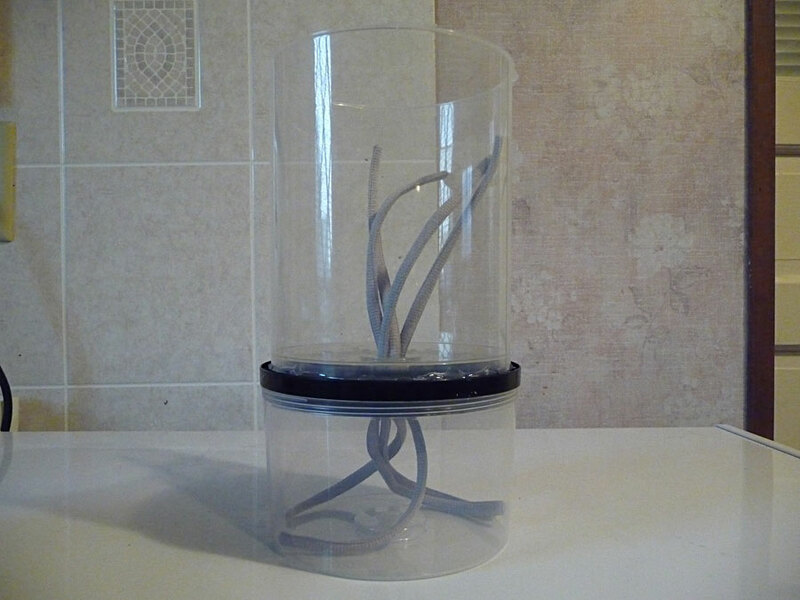 Check out this cool self-watering container made from upcycled containers! With soldering iron, melt 6 holes into top of 100 spindle. Melt away the center cap on the 100 pack. Leave the 25 / 50 pack TOP untouched. Melt 6 holes into BOTTOM of 25 / 50 pack. Cut the tip off of the center pillar. Place the top onto the base of the 25 /50 pack. Put it onto a table top, up-side-down. Turn the 100 pack up-side-down. It should fit onto 25 / 50 pack. Run the shoe laces into the water reservoir (bottom chamber). Fill the top chamber with potting mix & pull the laces up into the mix..
* Note: Not all CD / DVD spindle cases are made the same. Do a quick test fit to see if yours will work for this usage. 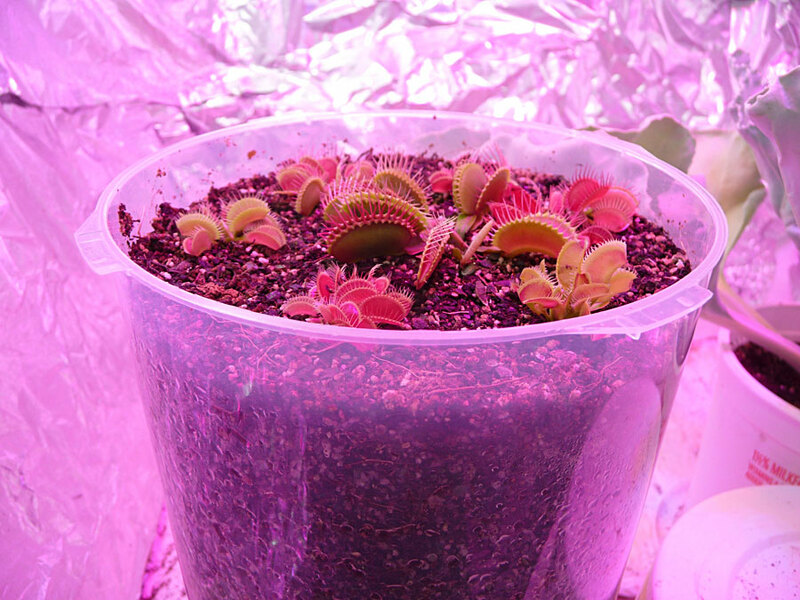 The upper CD / DVD container holds 8 cups of potting mix if you use a 100 count. 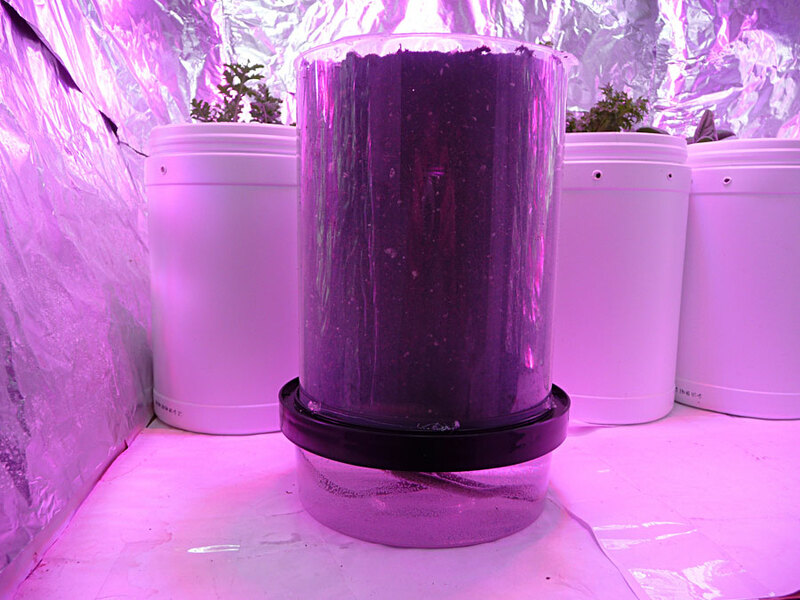 Using a 50 pack for the lower chamber supplies a 4 cup water reservoir. A great way to recycle empty CD or DVD containers. 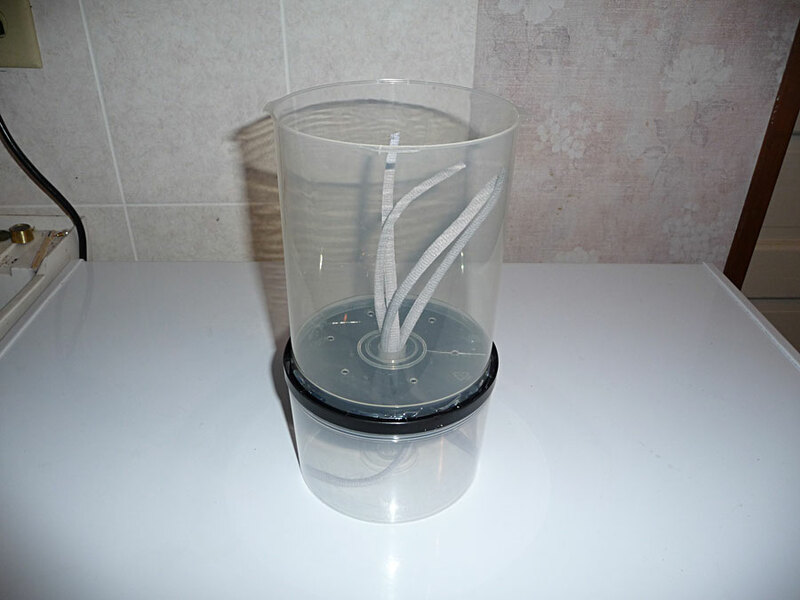 An assembled Albo-spindle, using a 100 count CD / DVD top with a 25 count water reservoir. 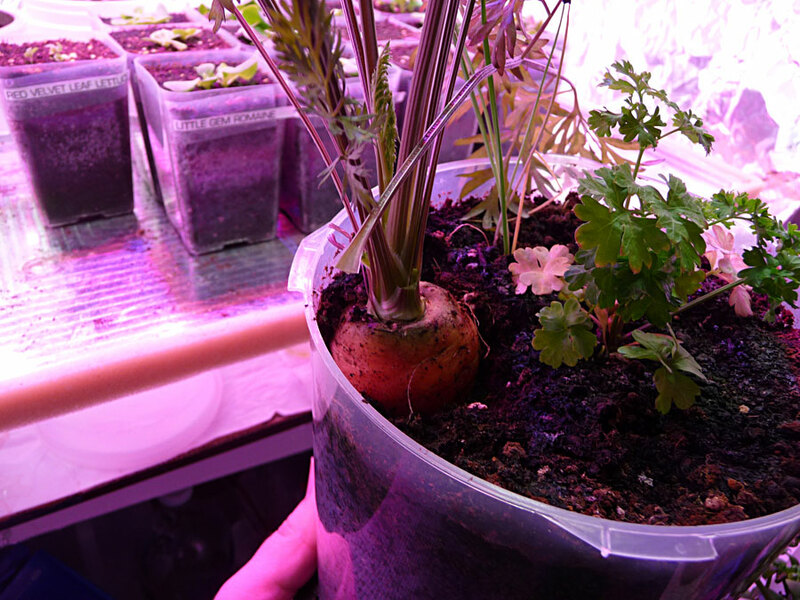 Parsley and carrots growing in the Albo-spindle. I've had great success growing venus fly traps in the Albo-spindle. After 18 months of testing, I thought is was time to share this idea with the world. Of course, you can grow lots of other things like herbs or small vegetables. As you can see above, I've even grown carrots!